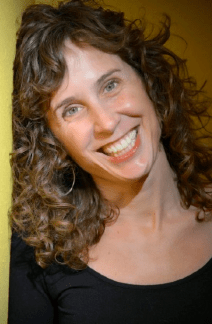 Janie Chodosh was kind enough to answer a few questions about her debut novel Death Spiral: A Faith Flores Science Mystery (read the review here). What was the best part of writing Death Spiral? Frankly, the best part of writing Death Spiral was all of it. Seriously. I loved developing the characters and learning more about each of them as I delved into each new draft. I loved learning how to plot a mystery, and I loved working with my husband, Callum, to come up with the science. Callum is a geneticist and has vast experience in the field, so he helped me to understand the content. Did you learn anything about yourself or your writing process as you were writing your novel? I learned that I could sit for many hours at a time and obsess about the smallest details of sentence structure, plot, or anything related to writing my book. I tend to have a “busy” personality. Sitting still and focusing has never been my strong point. So learning that I could truly focus for six or seven hours at a time was a break through and a fantastic discovery. Are you working on a sequel? If so, are you able to share a bit about it? 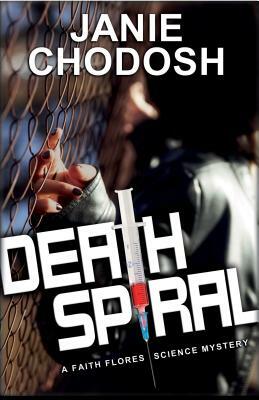 Death Spiral is part one in a three book series. I am currently working on book two. The books are not sequels; however, I do think it will help to read the books in order. In book two, Faith continues her arc of self-discovery. One of the main things I am exploring in book two is Faith’s ethnic identity. In Death Spiral Faith does not know the biological roots of her non-white half. She finds this out in book two, and she also learns of family members that she did not know she had. So, along with a new mystery, Faith is exploring questions of identity, culture, ethnicity, and family. Your main character is not sure about her ethnic identity though it seems she may be Latina. Was the ambiguity a deliberate decision? Yes, the ambiguity was a deliberate decision. I wanted Faith to feel a bit like a chameleon and to be unsure of her ethnicity. I wanted her to feel like an outsider in her own skin, meaning she really has no idea who her father is and where she comes from on his side. She likes to imagine his ethnic roots, and therefore imagine her own, but she really has no idea. This not knowing builds a certain amount of narrative tension. In book two, Faith finds out that her father was Mexican, and suddenly a Mexican identity is foisted on her, but how does one suddenly “become” something they have no experience with? Is it in your blood? Do you have to pass a test? These are questions Faith will explore and which will contribute to her development and arc as the protagonist of the series. Do you think you will stick with mysteries or are you interested in experimenting with other genres? For now I am sticking with mysteries as I see Faith through two more books. I love writing mysteries, but I did not set out specifically to be mystery writer, so I do plan on getting back to my other young adult and middle grade stories. I like to write humor. I also have a non-mystery YA story brewing that stems from my volunteer work at a homeless shelter. Who or what has influenced your writing the most? The main thing that has influenced my writing is my emotional life. I tend to empathize with everything and everyone and, having an active imagination, I spend a lot of time creating backstory for people. Writing has helped me make sense of my emotional universe. I am able to create characters and let them embody various feelings from depression and anxiety to great joy and inspiration, all of which I have experienced at one time or another. In terms of who has inspired my writing, it is hard to say initially where that inspiration came from, but in recent years I have read tons of young adult fiction. Many great authors I have read inspire me: KL Going, John Green, Libba Bray to name a few. Before I write I like to organize or clean something! I guess it is a metaphor for clearing away clutter in my mind. What has been your most interesting or bizarre job outside of writing? Although not the most bizarre in the job description, what transpired was a very bizarre experience. During graduate school I worked as a naturalist for an elder hostel program. Okay. Big deal. The thing was, though, it was the first program for this organization, and the person running it was in Australia. So for one week not only was I chief naturalist, but I was wolf “expert,” tour guide, toilet paper go-getter, meal planner, van driver among other things. It was an interesting experience that I will just say did not leave all the participants happy. What have been some of your recent diverse reads? In terms of YA, I just read Fake ID by Lamar Giles, which was a great mystery and featured a young African American boy as the protagonist. Lauren Myracle’s Shine, about a hate crime against a young gay man, was an incredible story. Will Grayson, Will Grayson, about two young gay boys is a poignant read. In terms of adult literature, I love Junot Diaz. I am just beginning his book of short stories, and I heard him speak the other night. I have recently been very into Edwidge Danticat. Currently I am reading Never Let Me Go by Kazuo Ishiguro and I recently finished listening to The Thousand Autumns of Jacob de Zoet by David Mitchell. I love anything by Isabelle Allende. To learn more about Janie and her writing, please visit her website.